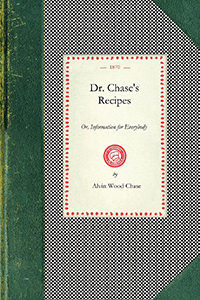 Immensely popular in the nineteenth-century, Dr. Chase's Recipes...went through dozens of editions and was believed to have sold over four million copies (second only to the Bible in total sales). 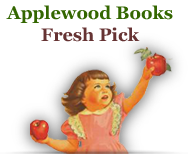 This book was a vital reference to young Americans, particularly homesteaders, who depended upon it for information on health, diet, cooking, animal husbandry, household hints, and general how-to's. 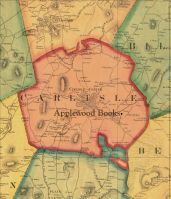 Containing recipes for both food and household products, delivered in a warm, chatty tone, this book was, and still is, a comprehensive source of information that deserves to be read and remembered. Compiled by: Hezekiah Howe & Co.